For the third consecutive year, Plantation Island Resort has been voted the number one Fiji resort for families by Holidays with Kids Magazine. Its 15th year to be included in the top 10, the resort is pleased to have once again won the distinguished award in 2017. For the staff and management of the resort, the award means so much because it is voted on by the public. 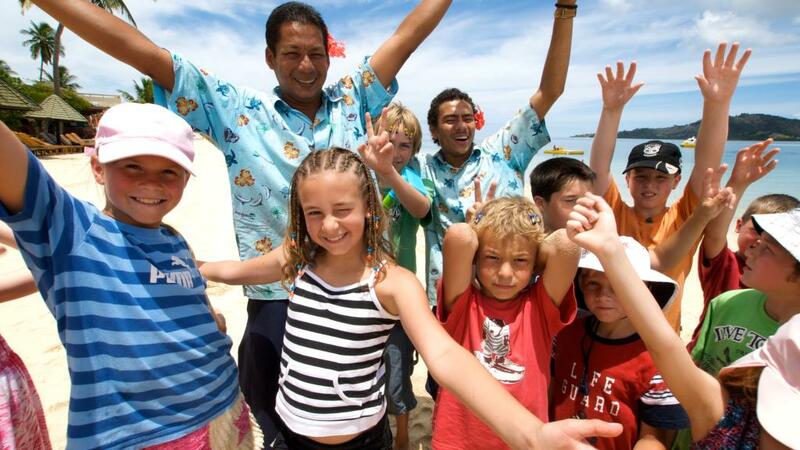 With a readership of more than 600,000, Holidays with Kids magazine asked its readers to vote on their favourite family friendly resorts, ranking their nominations by categories that included everything from location and accessibility, staff hospitality and standard of accommodation, fun and safety for the entire family, activities and facilities for kids and value for money and overall experience. Located in the heart of the Mamanuca Islands, Plantation Island Resort is a pleasant 50 minutes by boat from Denarau. Sprawling over 123 acres of tropical gardens, the resort is situated on the shoulder of the shaded, azure lagoon and boasts 7km of soft white sand. The quintessential island experience, Plantation offers something for all tastes and budgets. With a variety of accommodation options, the resort also enjoys 4 different dining venues and an outstanding range of onsite activities. Families love the 9-hole golf course, tennis court, three different swimming pools, complimentary water sports, 5 star PADI dive centre, water park and free Kids Club.